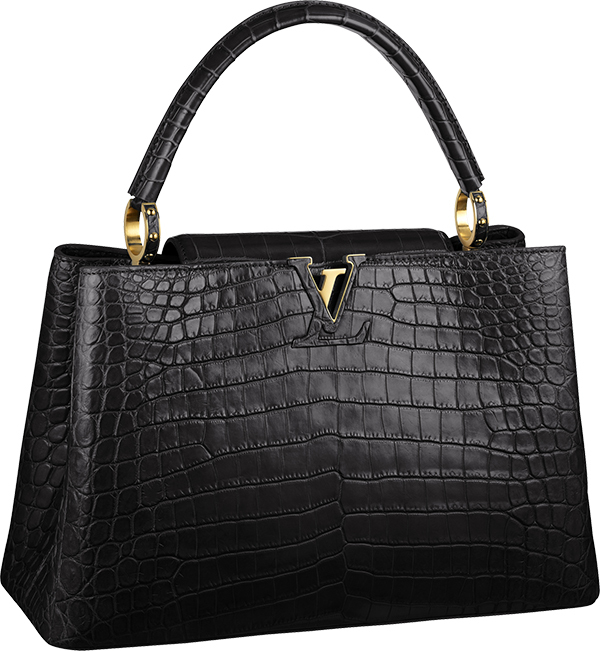 Louis Vuitton Capucines MM is now available in its full luxurious black Crocodile leather clad glory. 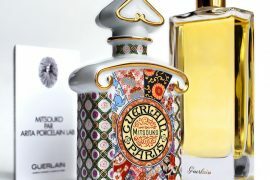 With its semi-rigid handle, the Capucines MM can be carried by hand, elbow or shoulder. The handles are secured by beautiful jewel-like rings. 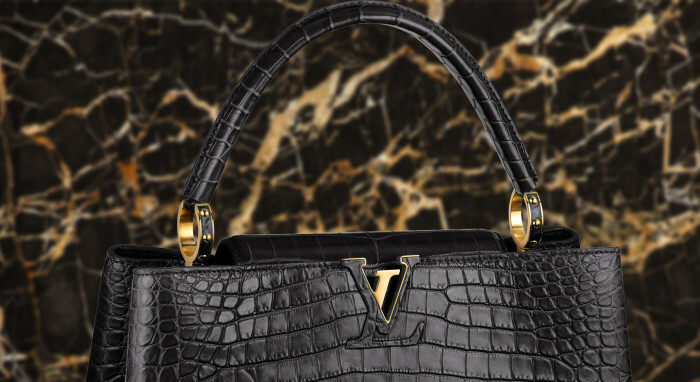 Its exteriors feature shiny golden brassware that compliment and highlight the scales of rich crocodile skin. It also has protective bottom studs. Interior details include goatskin lining, two spacious compartments, a zippered pocket and a flat pocket for cell phones etc. The Capucines flap is designed with fashion versatility on mind, it can be worn two ways – outside to reveal the outline of the Monogram flower, or leave inside to display the LV initials. In the US only Capucines MM is available in crocodile leather (measures 14.2″ x 9.1″ x 5.5″). No genuine crocodile leather product come cheap, so this lovely bag will set you back $48,000, if you buy it here in the US.